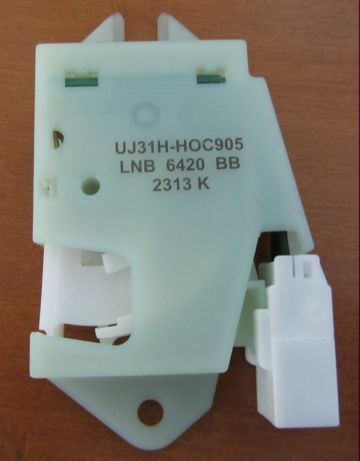 The part number for brake light switch is LNB6420BB. Gaudin Jaguar online retail price is $124.75 (discounted price is $101.35) plus shipping cost of $14.95. Rock Auto Parts online sells this part for $45.89. Part is mfg by Standard Motor Products (part# sls504) plus shipping (??? part was not in stock, so no shipping info right now). I am needing this part now I think as well. I think I paid around $85 plus shipping at Welsh Ent. Is this the same as brake pedal switch? All part of the same switch. Also controls the cruise disengage and park solenoid. Thanks. I keep blowing fuses so I guess ima have to get one. Could this brake switch be the cause of my mysterious minor problems? Often (but not always) when I press the brake pedal I get the "Check Rear Lights' warning but all the lights work (including side markers) every time I have checked. Also the cruise control switch light comes on at random times when I have not pressed it. Check Rear Lights is often caused by a bad bulb, or maybe a loose bulb. I don't know what would case the CC to turn on at random times -- are you saying that the red light on the CC switch by the J-gate turns on or that CC engages without hitting the set button on the steering wheel? I checked all bulbs and cleaned the sockets. The lights all seem to all work fine. The red light on the CC switch by the J-gate comes on and the switch seems to change position without me pushing it. I think I may take this switch out and clean it, the action seems slightly sticky. If the red light on the CC switch on the J-gate goes off by itself, I'd guess the BPP switch is the culprit. If your check rear lamps is coming in when u hit brakes your security module is bad if your bulbs aren't. Bypass it. You need to call Ghostbusters! Have the same problem described above, all lights work. Warning comes and goes, but only while driving and after hitting the brakes. Also note the cruise control turns off and can't be turned back on when the warning kicks in. 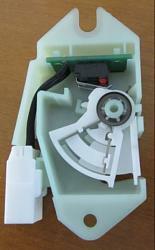 Anyone know if the brake light switch for my 2002 XK8 is the same as the Ford T Bird or Lincoln LS? Also, where is the switch located and is it something I can fix? Have a 5 to 1 "Gus Ratio" (If Gus in the XK8 forum says a repair took him 1 hour I plan on 5 hours). 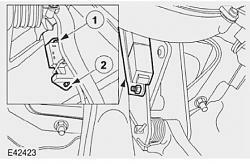 Please advise me on how to install the Brake Light Switch - Read the following and post your replies in this thread. TSB says "Ensure stop light switch ratchet is fully released. JTIS instructions say "Press and hold down the brake pedal" and "Make sure the brake pedal is held clear of the BPP switch ratchet mechanism during installation." 9. Position new stop light switch. 10. Ensure stop light switch ratchet is fully released. 12. Tighten stop light switch securing nut and bolt to 3 Nm (Illustration 6). 1. Press and hold down the brake pedal. Make sure the brake pedal is held clear of the BPP switch ratchet mechanism during installation. Failure to follow this instruction may result in incorrect adjustment of the BPP switch. Make sure the BPP switch is correctly installed to the upper locating point. 1. Align the BPP switch to the upper locating point. 2. Install the BPP switch. 3. Release the brake pedal. I am a little confused at this point. The instructions are essentially the same thing said different ways. The essential part is that the ratchet mechanism be fully released during the install. 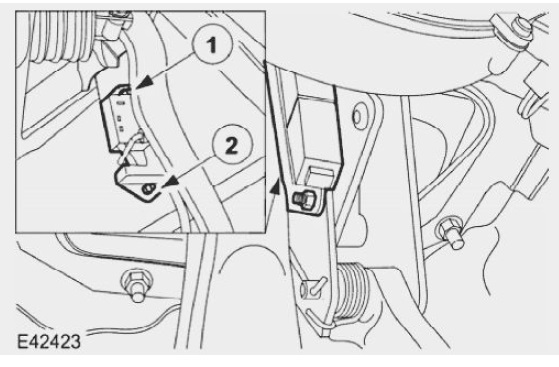 This is because later when the brake pedal is depressed *after* the install, the ratchet will adjust to the necessary position. The only reason I can see for the ratchet to not be fully released is if the brake pedal arm is in the way, thus pushing the brake pedal will clear the switch and allow the ratchet to be released. As plums said, it's the same thing said two ways! Why am I having such a difficult time getting brake light switch installed? Any tricks to do this? Advice appreciated. Last edited by jimlombardi; 01-30-2014 at 11:00 AM. If you look at the bracket and the orientation of the studs to the actual switch it helps. I also started the car so that the brake pedal would go down further. Your XK8 has a brake switch is lot different than our switch - XJ models switch does not have the 2 studs at the top - only has the slotted notch that slides into the upper fixing point (I do not know where & what that looks like). But I hope someone can tell me where and what it looks like and how to locate it and slide the slotted notch into it.